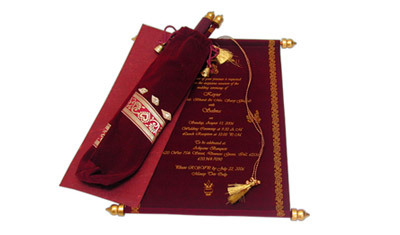 Kings and Queens could be no more in power, but scroll invitations still rule the roost and are the most preferred invites for wedding in India. 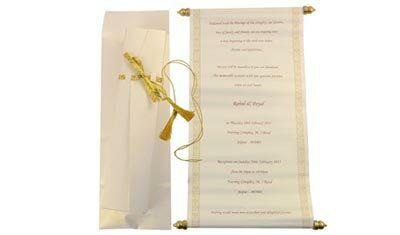 Royal, traditional, yet trendy, scrolls are easy to carry, have large space for the wordings, are easy to handle and need very little space for storage and are easy to deliver. 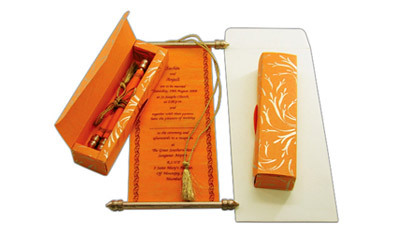 Apart from these qualities, scroll invitations carry the most important message with them and that is these are ‘farmaan’ for the guests to attend the wedding. 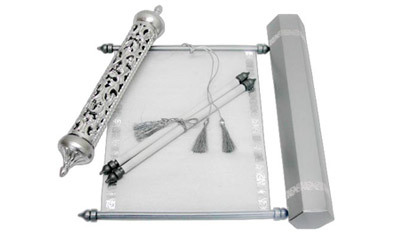 In addition to this, these have the largest number of combinations regarding designs, accessories, paper, cloth material and printing. 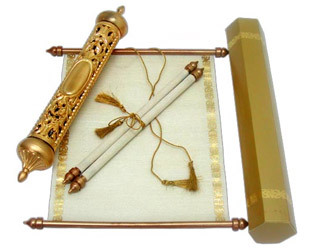 Thus, these are the ones which are available in almost innumerable designs. 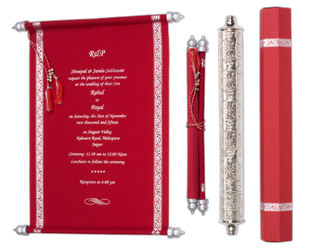 At Scroll Wedding Invitations, we have exclusive scroll designs available. Our designers constantly come up with newer designers and every day there are new designs added to our catalogue. 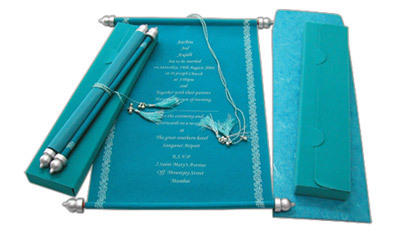 Apart from this, we use the best material, printing method in order to make these cards and hence cards sold by us are not only awesome design wise, these are economical also. 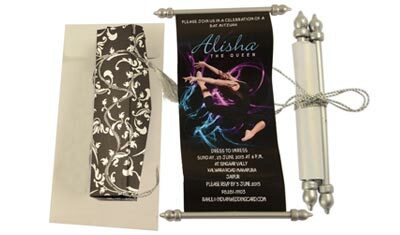 A Scroll invitation card is a perfect combination of the art, design, style and creates a royal impact. 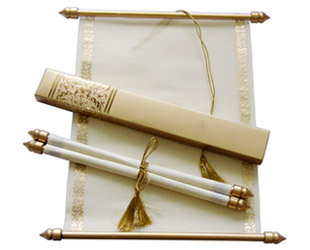 We offer you a wide range of scroll cards that are available in vibrant colors and are beautifully crafted using handmade paper, vellum paper, velvet or cloth.